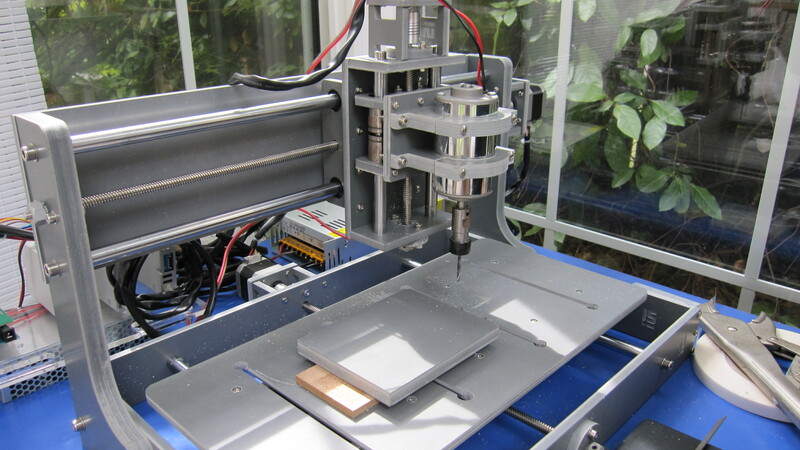 Getting started with Zen Tooloworks CNC - Zen Toolworks, Inc. This is my first project, so I’ve included the issues that I found in the hopes that you will learn from them and not repeat my mistakes. If you do not already have a program to create the CAD designs and tool paths, download Fusion 360 from the link above. After you have downloaded and installed Fusion 360, create a simple design to test the system. Pre-loaded shapes can be found under Cam Samples > Tutorials. The design I chose to demonstrate below can be found in this folder and is named “Tutorial1”. 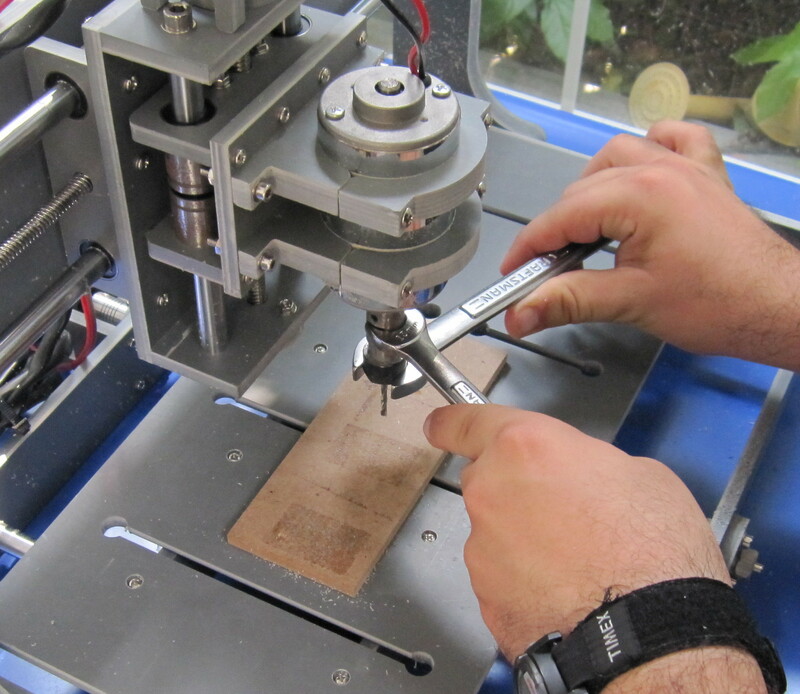 Once you have a simple design, we have to create the paths along which the tool will cut. In Fusion 360, click on the box in the upper left hand corner labelled “Model”, and select “CAM”. This will take you to a view where you can create tool paths. Click on the drop down bar labelled “2D” to select a tool path from the menu that appears. My design, which can be found here, used several different tool paths to perform different tasks. 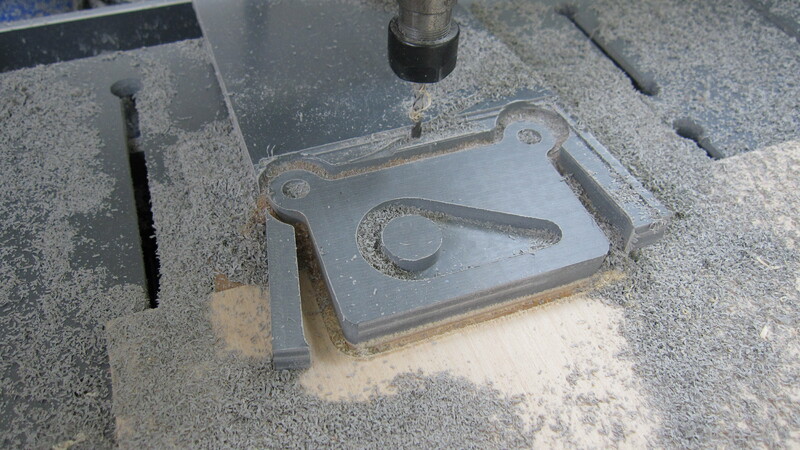 A face tool path flattens out a surface to prepare it for carving. Pocket and bore tool paths carve out the interior structures of the design. A contour tool path cuts the shape out of the surrounding material. After you have made the tool paths, select each tool path, click on the drop down bar labelled “Actions” and select “Post Process”. Under “Post Configuration”, change the output file type to “grbl.cps – Generic Grbl” and post the file. Repeat this step with each tool path, and you will be ready to cut out the design. Connect your computer to the Arduino with a USB cable and power the Arduino on. Open the executable “UniversalGcodeSender” from the Grbl folder. Fasten down the material that you will be cutting. I would suggest fastening a thin piece of wood or other spare material between the base of the machine and the material to be cut. I use strong, double sided sticky tape to fasten everything together. Originally, I was using a set up like this one to support the material. Later, I completely covered the tray with a thin piece of wood in order to fully stabilize the PVC material. 4. Put the correct bit into the machine. I used a 1/8 inch endmill bit. This bit must match the bit used in the design process above. It is very important to tighten the bit well so that the it will not slip as the machine is cutting. 5. In the Gcode Sender program, select the appropriate COM port on the upper left of the screen. Under “Baud” select 115200 and press “Connect”. 6. Go to the “Machine Control” tab and, using the control buttons on the right of the screen, position the bit directly over the origin point on the material you are cutting. 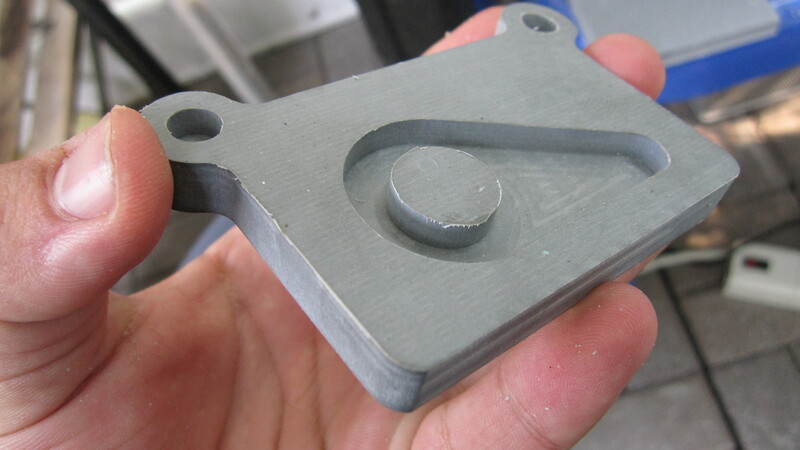 The origin point can be found on the design in Fusion 360. 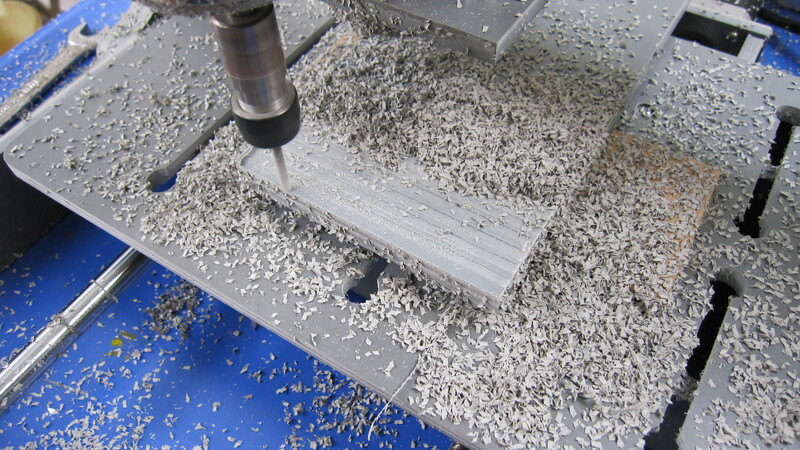 Make sure that the tip of the bit is barely touching the surface of the material, but is not pushing through it. 7. 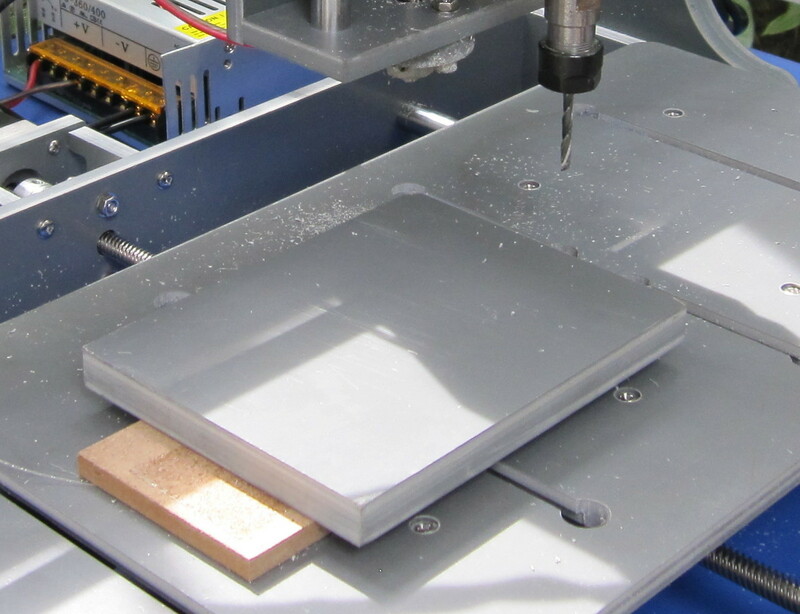 Press “Reset Zero” in the Gcode Sender program to set the origin for the CNC machine. This is a VERY important step. I learned this the hard way on my first attempt to fabricate a design. 8. 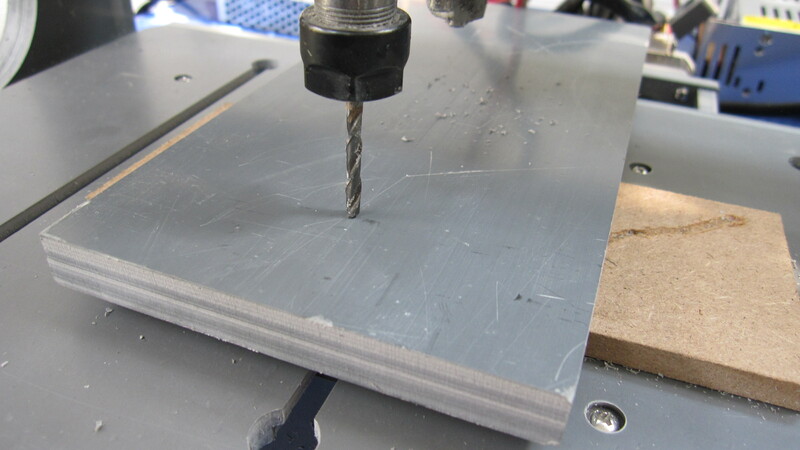 Power on the CNC machine’s spindle motor by plugging it in. 9. Now go to the “File mode” tab for the Gcode Sender, click “Browse”, and select the file for the facing path that was created above. 10. Press “Send” and let the machine do its work. 11. After the facing is complete, repeat the process for the pocket and bore tool paths, and finally the contour cut. This is a picture of my first facing run. If you notice that substantial ridges were created between passes, such as in this picture, it is because you put too large of a step over in your tool path. 12. Clean off the edges and you have the completed product. Make sure that you go a little past the bottom of the material so that there are no lips left over. ← What says Happy Valentine’s Day better than an LED Edge Lit Acrylic Sign ?